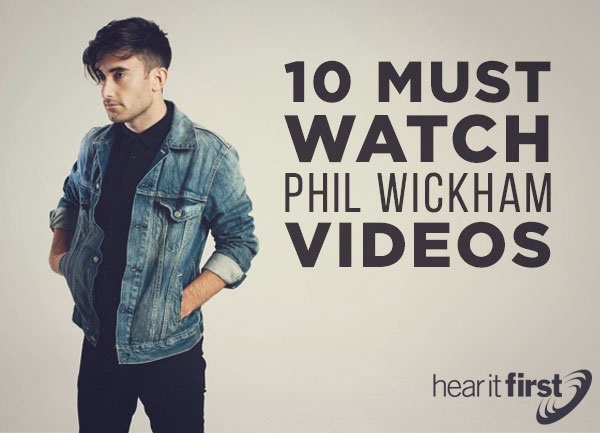 Over the last ten years, beginning with his self-titled debut album, Phil Wickham’s music has a growing presence in the music industry as well as a growing presence in the hearts of his fans. With seven albums to date, his most recent, Children of God, is best described by a friend of mine as an album which took her from being a listener to being a fan. These 10 “must watch” music videos offer music and lyrics that will unite our auditory and visual senses stirring a call to worship and a spirit to surrender. Lest the phrase “must watch” turn you off like you may have felt as a 10-year-old when your piano teacher told you that you “must practice”, consider the use of the phrase in this context as an encouragement and not a mandate. I think your time as you watch and listen will be time well spent. You will likely even consider sharing a one or more of them with your friends with the encouragement that they too “must watch”. This cut from Phil Wickham’s latest album, Children of God, is one of my personal favorites. Madison Cunnigham, with vocals that flow smooth like warm butter, joins Wickham for this one adding depth to the sound and a healthy measure of awe for the soul. “I'm running to the secret place. You are my only hope. You are the Rock on which I stand.” Run quickly to watch The Secret Place. Also from Wickham’s newest album, Children of God, Your Love Awakens Me is a must watch music video for anyone who might need a dose of spiritual caffeine. A popular worship song sung by worship bands around the world, this song is a must watch. Countless artists have covered the late Leonard Cohen&rsquo;s hit song over the years. Understandably so. It is captivating in both music and message. Phil Wickham&rsquo;s simple acoustic version is a welcomed addition to the collection of Hallelujah covers. Countless artists have covered the late Leonard Cohen’s hit song over the years. Understandably so. It is captivating in both music and message. Phil Wickham’s simple acoustic version is a welcomed addition to the collection of Hallelujah covers. Although we haven’t experienced heaven, there is a longing for it that we can’t describe. Phil Wickham sings of reaching towards heaven, arms lifted high, with a hopeful request for God to fill them with His kingdom. “Let your will be done in me. Let your Kingdom come in me. In my life lord let it be as it is in heaven.” Watch this video and allow the music to open up a place in your heart for His Kingdom to enter. From Wickham’s album, The Ascension, come this music video of a song that is widely used in worship settings. If you haven’t heard this song, then you must watch this. If you have, then you know you must watch it again because we can never get enough of God’s amazing grace. There’s not much mystery in this song title or its lyrics. It clearly speaks to the day we as Christians look forward to. The day when our flesh is left behind and our souls are carried away to live on with our Creator. It conveys a sense of awe with eternal significance which sounds a lot like hope. So much in our world competes for our mind, body and soul. Phil Wickham offers a reminder of our complex commitment to Christ with simple, easy to sing lyrics put to music that adds a layer of richness to the message. This cut from Children of God is sure to become a favorite song for both personal and corporate worship settings. How often we search for our identity because in this world, it is so easily muddled and confused. How often we forget the power we have access to in Christ. This lyric video is a must watch that encourages our battle weary souls and reminds us of who we are and Whose we are. We are Children of God! Last but certainly not least, this song from The Ascension album, is a modern response to an age-old call to give glory to God for all He is and all He has done. When we see God face to face, when all things broken have been redeemed; all of creation will glorify Him. Let us not miss out on the opportunity to glorify Him now.